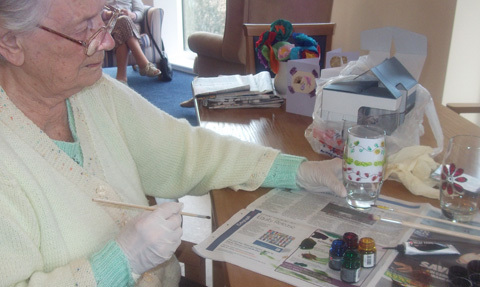 Our Social Co-ordinators concentrate on providing stimulating activity for our residents. We offer a full activities programme based on large, small and one to one activities designed specifically to meet the needs of our client group. We are conscious that many people enjoy watching television or just having thinking time and are sensitive to the needs of those who choose not to join in group activity. If residents choose to stay in their room, wander through the home or visit the administration office, then that is what they can do. With safety aspects in mind the kitchen and laundry are places we discourage visits to but otherwise residents exercise choice and control over their day to day activities. Over half our residents do not receive regular visits from friends of relatives and some none at all. We therefore strive to specifically involve them in the running of the home. On residents’ birthdays, we mark the day with a card and a gift. A cake is presented at tea time when the staff sing Happy Birthday. We also celebrate other special days such as Valentines Day. 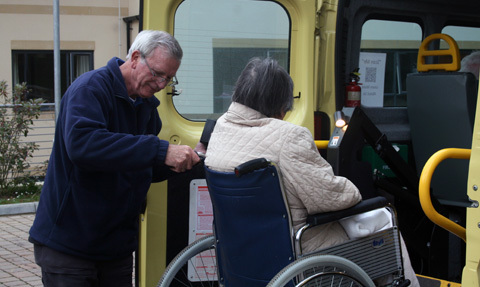 At Easter time each resident is presented with a full sized egg and at Christmas specially chosen gifts are given. We keep in regular contact with relatives throughout the year and welcome contributions and ideas in planning individual social programmes. We have family functions at Christmas and hold an annual summer party. Relatives are encouraged to visit whenever they wish and can telephone regularly for updates.